Learning calming strategies and techniques for autism meltdowns is necessary as a parent and caregiver. It helps us help our children in any given situation. Over time, you will learn and implement many calming strategies. Some may be beneficial for a shorter period of time and others will be used throughout the lifespan. 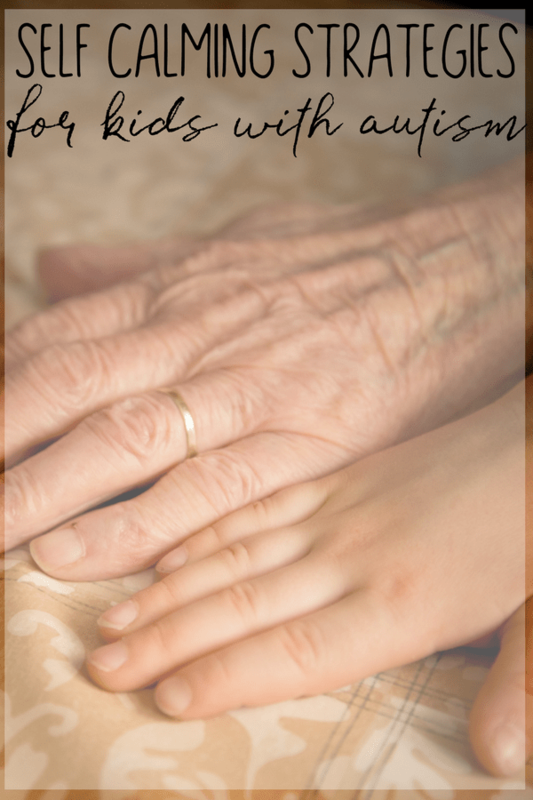 We certainly have our tried and true techniques that have served our family very well. Then there are others that we have tried that just didn’t work. It’s all about being willing to try and to see what will help. 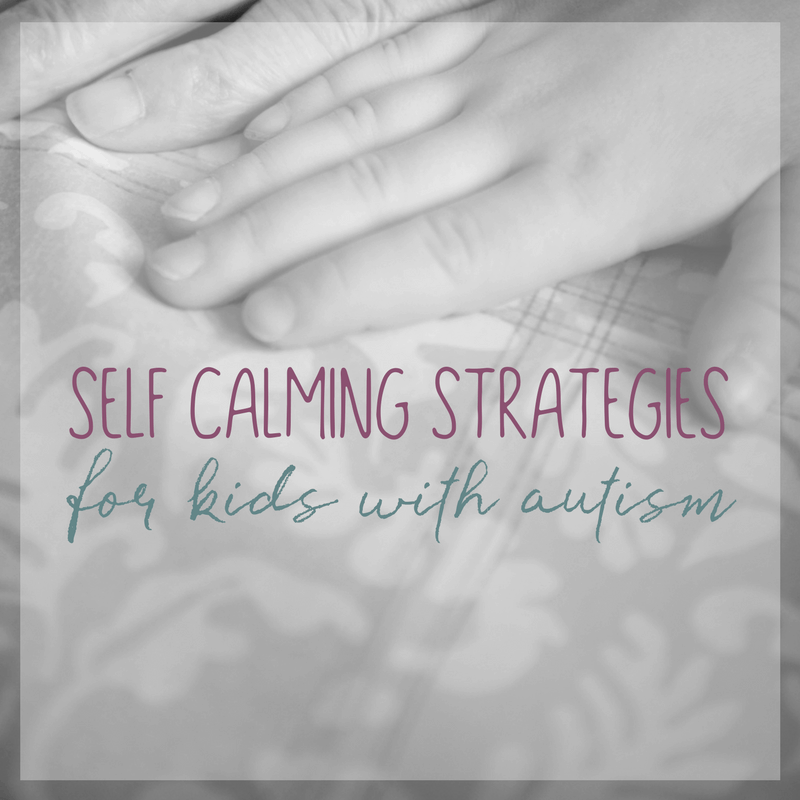 As my daughter grew older, we started to incorporate more self calming strategies for autism. 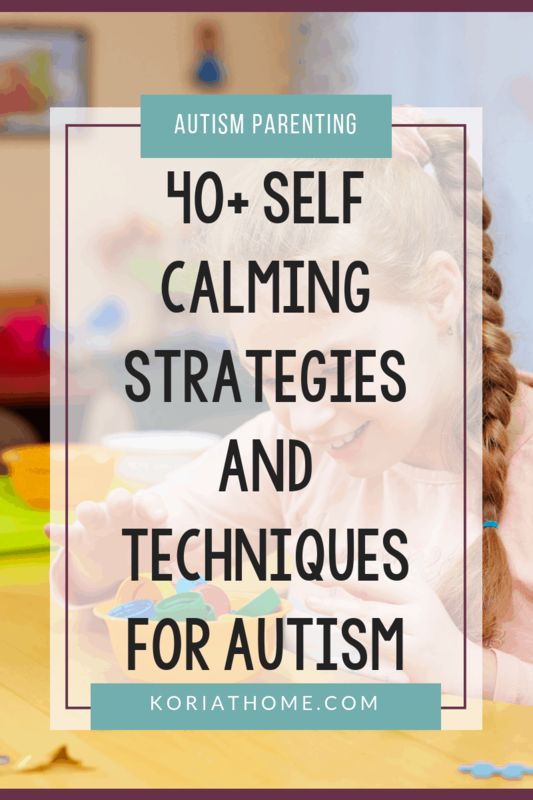 Why teach Self Calming Strategies and Self Calming Techniques for Autism? 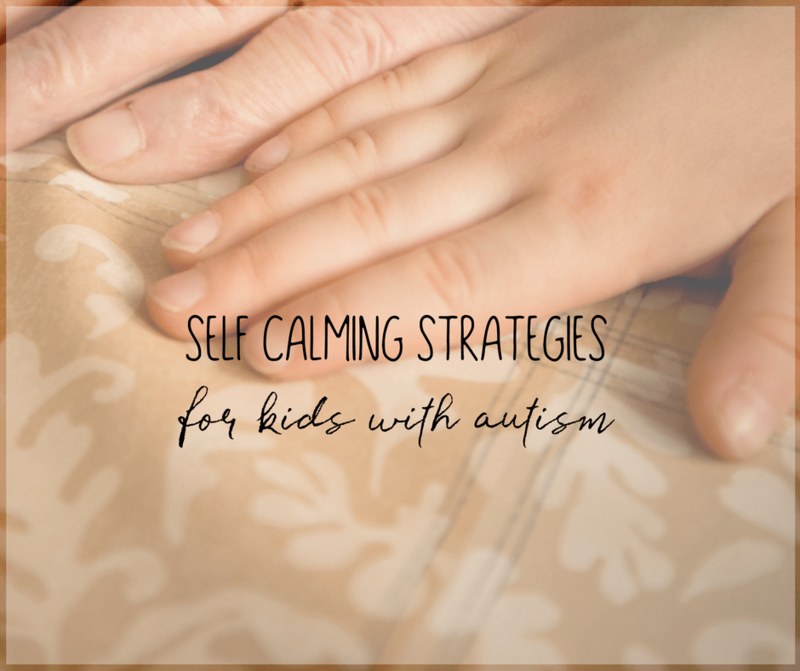 In the past, I’ve shared calming strategies for autism meltdowns and a printable pack of calming strategies. 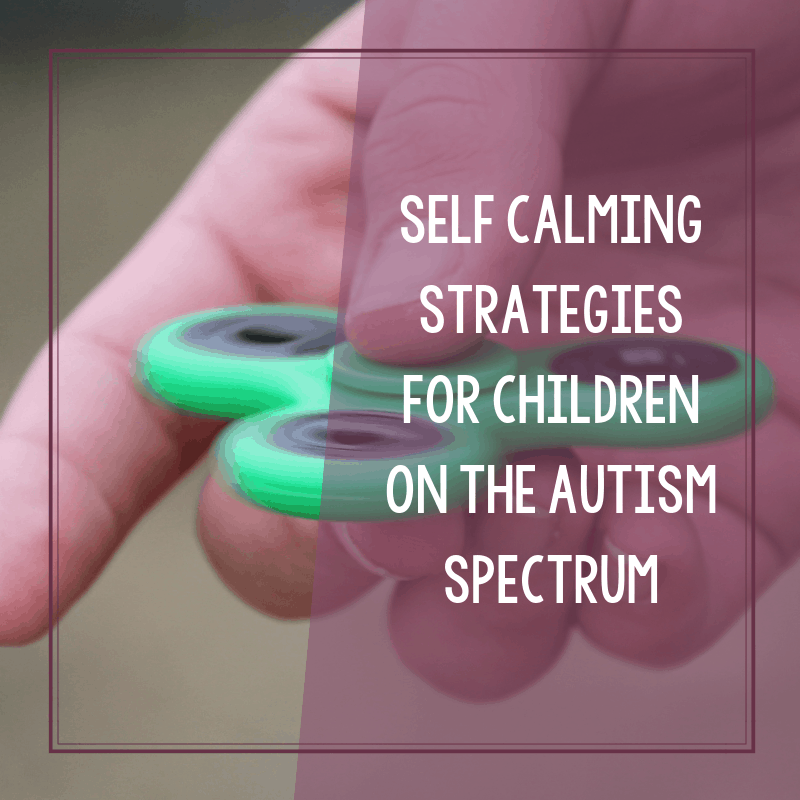 While these calming strategies are meant to be used just about anywhere, I also wanted to share self calming strategies for autism. Of course, you can use these with any child, not just an autistic child. Why include these strategies separately? At times, we want to support our kids. And that includes teaching them how to self-regulate. When a child understands how to self-calm, they can eqip themselves accordingly. These self calming strategies can then be used at home, at school, or when you’re out and about. Of course, some may be easier to adapt than others. And it’s expected that not all strategies will work for all children. Some of these strategies utilize sensory activities such as with a sensory bin or something that you can squeeze. My daughter, for example, absolutely loves bean based sensory bins. Typically, when it comes to looking for an ideal self-calming strategy, you want to find something that helps your child focus. Whether that’s through sensory input or breathing, or another method. We’ll explore quite a few things! Do keep in mind that some of these may not be the best for kids who have issues with mouthing non-food items. Other activities are perfect for those kids! And yes, I am including fidget spinners. While these may still cause some controversy in the classroom, there’s really no denying that they are useful. Calming strategies do not have to be limited to the indoors. For example, you can make a backyard weaving frame. Or you can try forest bathing to connect to nature. Some kids may just benefit from the healing power of nature. On the go? Try making a calm down kit for kids that you can take with you or take a look at these DIY sensory travel toys. Another option? 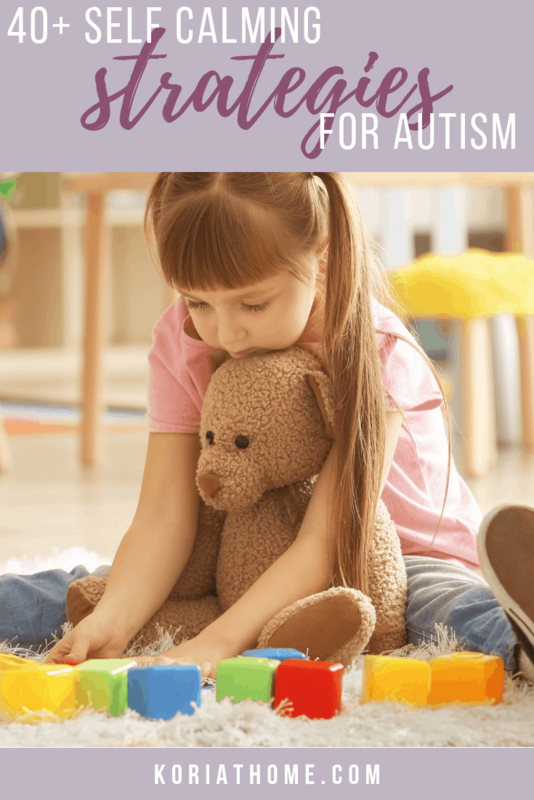 Look into how to create a calming environment for your autistic child so that they have a safe space. You could make this awesome cardboard rocket ship for a calmdown retreat in your living room. Have a child that absolutely loves the water or bathtime? Here’s how you can create a calming bath for your kids. One of the calming strategies in my calming strategies printable includes focused breathing. Try one of these simple breathing exercises to start. Or, take it a step further with guided meditation to help reduce stress and anxiety. You can also try one of these mindfulness exercises to calm your child. Equally important, is how parents approach the situation. Sometimes, without realizing it, our own stress, anxiety, or anger about the situation will only escalate the tension. Still need more resources? Here are 100 Calm Down Tools and Strategies. Whether you try one, or try them all, I hope that these self calming strategies for kids can be of use to you and your family. Want more help and advice? Grab my free calming strategies toolkit! Kori, thanks for all of these fantastic ideas! It is so helpful to have such an extensive resource because when one thing doesn’t work there is always another idea to try. Thank you for contributing an idea, Tamara! As the old saying goes, it takes a village. Sometimes a virtual one.